Julia, our gracious guest, provided some super interesting real-life examples of graphics from actual social media accounts along with tips and tricks from the field to get you started with creating social media graphics today! Her insight is timely as there is no doubt that visuals are driving online communications in 2017 and beyond! To learn more, check out the webinar replay, webinar slides, and brief notes below. 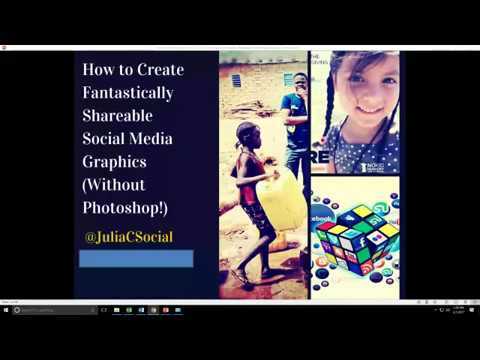 We’ve also included a link to Julia’s FREE eBook, The Ultimate Nonprofit Guide to Creating Social Media Graphics, along with the FREE Easel.ly resources referenced in the webinar! Enjoy! Here’s a quick look at a few takeaways based on Julia’s discussion with us! What will resonate with them? What will they find compelling? What will they want to share with their friends? What Makes a Great Graphic? It’s visually compelling and catches your eye. What Makes a Great Infographic?